Technology has surely taken over the world and none can deny the fact that internet is the present and the future of the world. People have accepted the fact that if they need to grow their business, they need to be on the internet which is why today if you look around, you will see almost all the companies and brands getting digitized. You might have the best quality products at your local store, you might be offering the most unique and the best services in reasonable rates but if you aren’t on the internet, all of your struggles are actually for nothing. Basically being on the internet is necessary because here you get to reach out to the masses without even making much struggle. All you need to do is to build a great website for your business, do some marketing for it, put some ads and there you go. You will start seeing the results in no time once you make an exceptional website for your brand and then market it. Building a website, building funnels, doing A/B testing, it’s all a part of developing your business. 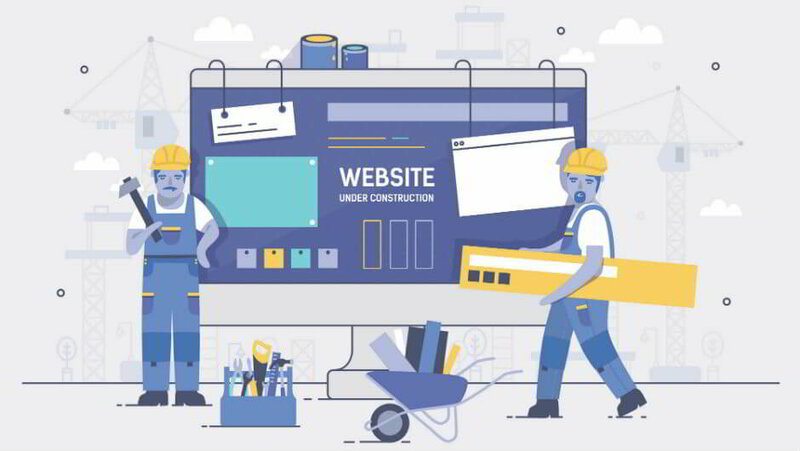 Now, if you are someone who still has some doubts on building a website for your business then stick with us a little longer because we are now going to jot down the reasons why you need a website right now. That’s what being on the internet means, “increased visibility”. You might have the best brick and mortar store and you might be giving out the best quality product but don’t you think that you are missing out on a large number of audience who could be your customers? Right now almost everyone uses the internet and in fact, people now first check a business on the internet before visiting the brick and mortar store. Now, this is where having a website for your business comes in handy. People can check your business online, they can see whether or not you are worth a visit and you can even be visible to those who never even heard of you ever before. It’s kind of interlinked with increased visibility and it’s simple math that the more known, the more visible you will be, the more people will buy your products/services. Having a website builds trust among people that yes, you do put effort into your business and you do take your business serious enough to be on the internet. All of this increased visibility, increased trust, having a solid online presence will ultimately lead to increased sales and that’s exactly what your business wants. Not totally free but yes, having a good website for your business means you will be able to market yourself and your products to the masses easily. It’s more convenient and it will save a lot of time of yours too. You just need to come up with a good marketing strategy and there you go, within no time you will see the results on your own. First of all, if by now you’ve thought to build your own website then we appreciate you for that. Now the next step is to find a good website developer who can cater to your needs. Honestly, if you ask us for our suggestion then we’d recommend you to go for veesite.com. It’s one of the best and the easiest website builder and here it’s all about drag and drop. So, now if you want to get yourself a website then visit VeeSite and we assure you that you will end up quite happy and satisfied with the services they provide.